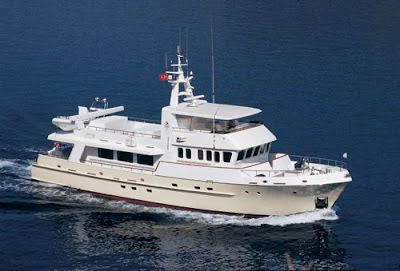 $25,000 plus all expenses For charters taking place from now through 30 April! Charter the motor yacht Tivoli and cruise far beyond the horizon of the ordinary. Discover a private, floating kingdom where your wishes are anticipated, your senses indulged. Venture to exotic destinations. Call at fashionable ports. Dine exquisitely. And all the while, savor the pure satisfaction of having chosen a solid, extremely seaworthy, long range expedition vessel.